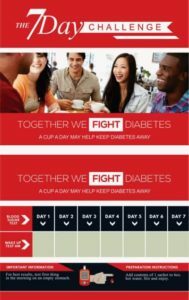 Together we FIGHT diabetes – a cup a day may help keep diabetes away! You will receive 7 sachets of GanoCafe Classic Coffee and a special 7-Day Challenge card where you can track your blood sugar to see how it changes when you drink just 1 cup of GanoCafe for 7 days. Money-Back Guarantee makes this Risk Free. If your health is worth a $10 investment, order now! 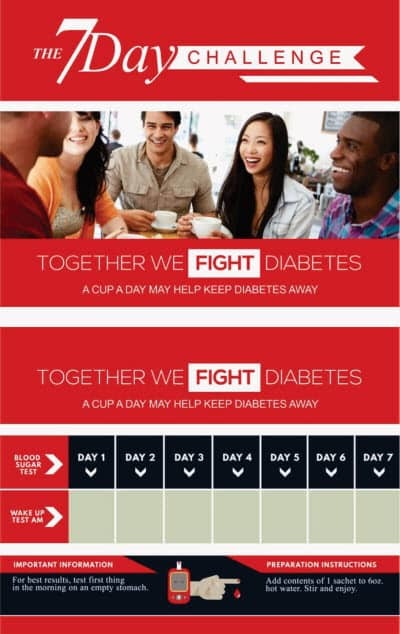 Together we FIGHT diabetes – a cup a day may help keep diabetes away! Take our RISK-FREE 7-Day Challenge with GanoCafe Classic coffee. Do a blood sugar test first thing each morning of the challenge and mark it down on the 7-Day Challenge Card we will send you in your pack, then drink one cup of GanoCafe Classic coffee instead of the coffee you are currently drinking. Invest in your health for a reduced price of ONLY $10. It is completely RISK FREE! If you don’t see a change in your blood sugar numbers, we will gladly issue you a refund. And we are covering the cost of shipping as an added gift to you! We have seen people reduce or eliminate their diabetes medications by substituting their regular coffee with Gano Cafe Classic. If you are dealing with blood sugar issues, and want to reduce, and possibly even eliminate, your blood sugar medication, this is for YOU! Here is what we ask in return: Get back to us with your 7-Day Challenge results by phone, text or email. And when you see a difference in your blood sugar numbers, promise us you will share this awesome gift of health with at least two family members or friends who are suffering with blood sugar or other health issues. Call or text us at 858-255-0414. Email us at rickandshana@ganocafe.org. 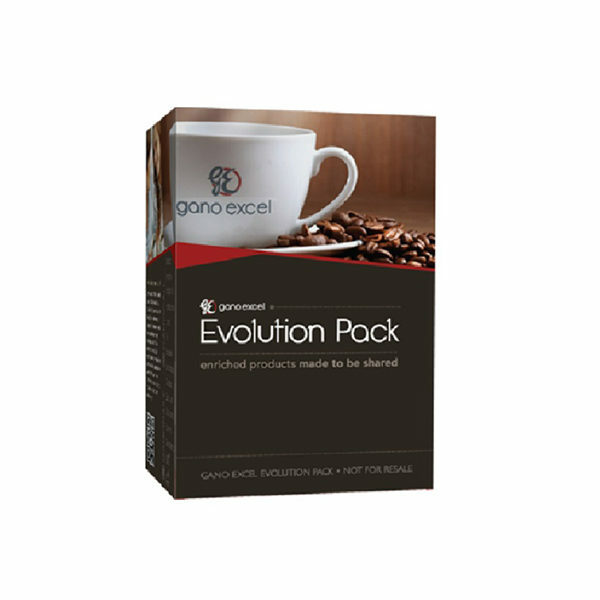 To learn more about the other health benefits of Ganoderma, CLICK HERE. 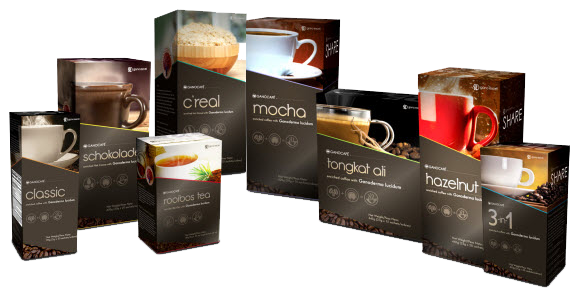 To learn about other Ganoderma-enriched products or to buy full boxes of coffee, CLICK HERE. To great coffee & great health!